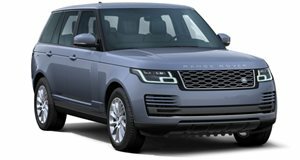 2016 Land Rover Range Rover V8 Supercharged SVAutobiography LWB 4WD powered by 5.0-liter V8 Gas Engine with 8-Speed Automatic transmission. Chromaflair Special Exterior Paint, -inc: Highly chromatic, drastic color shift paint, Very limited availability. Mica Special Exterior Paint, -inc: Pealescent/iridescent luster paint, Very limited availability.